Asthma, Allergies and Pollen – Is there any Relief? No matter how hard you try to keep your house clean and sanitized, there are just some things that are in not our hands. Maybe you’ve been through it all trying to control your allergies? You’ve done everything in your power to stop all that sneezing and coughing, but you still can’t find relief? You shouldn’t give up! It’s time to try something that could actually benefit you in the long term, and provide you with the security of a healthy environment in your own home. But do you actually know whether you’re allergic to a certain particle or really have asthma? What are your symptoms? Airborne pollutants can cause asthma attacks and allergy symptoms. Asthma sufferers as well as those who suffer from allergies can’t find relief outside because it’s an uncontrolled environment where the harmful pollutants that cause you to react are everywhere. However, inside it’s a different story. With the development of all kinds of purifiers that clean the air of these allergens, you can reduce symptoms and live a normal life. But let’s take a look at the basics of asthma and allergies so that we better understand what goes on in our bodies. Allergies are actually an exaggerated response of our immune system to common substances like food or pollen. Our immune system is really complex and is able to defend our bodies from many aggressors. However, allergens are things that are foreign to the body and cause an allergic reaction because the immune system can’t handle it. 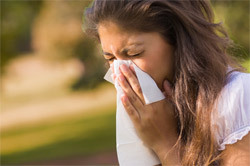 The environment plays a huge role in the development of allergies. It can also have a lot to do with family history, especially with siblings and parents. While some allergies are genetic, some develop over time no matter what age you are. The Asthma and Allergy Foundation of America states that air purifiers can have an impact on reducing symptoms created by airborne particles which might induce allergies. Pollen is the most common allergen and is also known as a powerful particle that can really endanger your immune system. Millions of people are allergic to pollen and experience severe reactions to it, not being able to breathe or function normally. Air filters can benefit you to some extent, and that’s a fact. HEPA filters are known to help with asthma and allergies but especially pollen. The way these filters are designed is to capture particles of all sizes and neutralize them or remove them completely. Only an air purifier with a certified HEPA filter can provide you some relief as they catch even the fastest moving pollen particles. 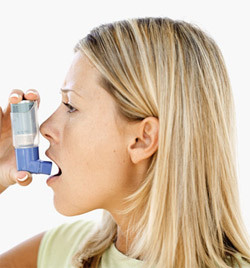 Asthma is a chronic disease that causes breathing difficulties. What happens? The airways become inflamed which causes them to narrow. This results in heavy or shallow breathing, coughing, chest tightness and even seizures. These symptoms are not pleasant at all and can have serious consequences. Substances that induce allergies or environmental triggers make the bands of the surrounding muscles tighten the airways which blocks the free movement of air. That’s where the shortness of breath comes from, and is usually accompanied by a wheezing sound. Bronchial tubes are swollen and inflamed and this can cause permanent damage to the lungs. If you suffer this, the chances are you really are desperate to control asthma better. If you suffer from asthma, your airway is more sensitive. It overreacts to the slightest irritation which, in turn, causes it to narrow. It could be a reaction to pollen, dust, fumes or even pet dander. The EPA or the U.S. Environmental Protection Agency and the American Lung Association recommend frequent air filtration for people with severe allergies and asthma, but that’s not the complete solution. There are differences in opinion on whether filter technology actually has any impact on asthma in a well-ventilated home that’s sanitized and cleaned often. It’s important to understand that a certified HEPA along with an activated carbon filter are the most powerful filter combinations that pass through strict regulations and attain a certification. That means they efficiently filter out all the particles that could be causing harm, especially to allergy and asthma sufferers. Asthma and allergy sufferers can’t be exposed to harsh and toxic chemicals such as ozone or negative ions because their airways and lungs are more sensitive than those of an average person. In fact, it can irritate more than help them. Asthma as a lung disease and allergies as the weakness of our immune system can be really tough to live with. It’s important to take certain precautions to reduce your symptoms and minimize the potential dangers. Doing thorough research and reading as many reviews as possible is the most important thing if you’re purchasing an air cleaner. You shouldn’t base your decision on only one or two. Take into consideration professional reviews and user ratings, and also take time to really understand how purifiers can influence allergens and harmful particles. The ultimate verdict is that yes, air purifiers can help you reduce allergy symptoms. Once you find one that really suits you stick with it, and after some time you are guaranteed to see results.